A Utah girl is finally going home after spending the first three years of her life in a hospital in Ohio. Zariah Donovan was born prematurely at just 23 weeks, six days gestation in September 2015. During her time in the NICU, she developed such a serious lung disease that doctors told her parents, Shawn Donovan and Vilayvone Thipsouvan, that she had a zero percent chance of survival. Zariah was took weak to go home and no medical center near the family could provide the care that she needed. The family learned of a specialized program at Nationwide Children's Hospital - 1,700 miles away - and agreed to admit her. After years spent in physical, occupational and speech therapy, Zariah's lungs finally grew strong enough and she was cleared to go home. 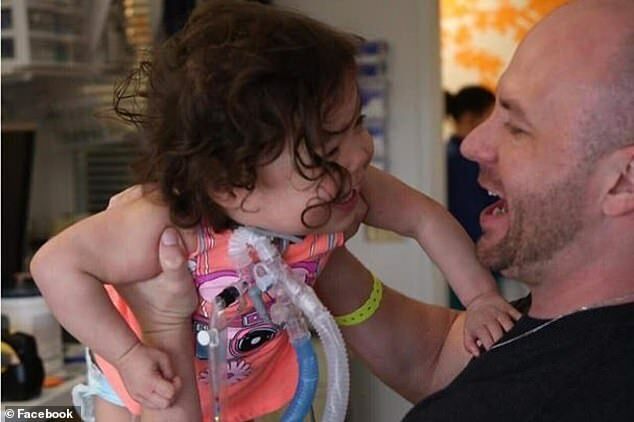 Staying at the hospital in Ohio for the past three made the difference between life and death for Zariah, but it meant the family has been split-up for most of their youngest daughter's life. Donovan quit his job and moved to Ohio to be near her, while Thispouvian stayed behind in Sandy, Utah, with their older daughter Raven, now four. 'Not being able to see them for basically three years is just super hard,' Thipsouvan told KSL. It's been a long and emotional journey for the couple, who didn't think their daughter would live to see her first birthday. 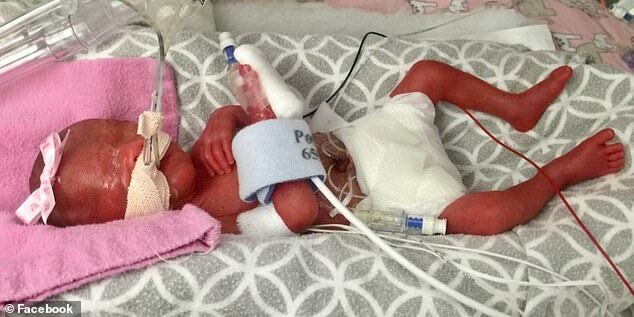 When Zariah was born at Primary Children's Hospital in Salt Lake City, she weighed just one pound and six ounces. According to a GoFundMe page, Zariah was given no more than a 15 percent chance of survival because she was so underdeveloped. Doctors told her parents, she was at a high risk of facing life-long physical disabilities, developmental disabilities, cerebral palsy and vision problems. Zariah had open-heart surgery at three weeks old and had 12 blood transfusions, multiple bouts of pneumonia and even a case of sepsis. In April 2016, at seven months old, Zariah was diagnosed with bronchopulmonary dysplasia (BPD), a form of chronic lung disease that mainly affects premature babies. The condition is caused by lung damage from a mechanical ventilator and receiving high levels of oxygen for a long period of time. 'Lung tissue growth, the great portion of it happens in the third trimester and she never made it to there,' Thispouvian told KSL. Doctors said it was the worst case of BPD they had ever seen and her chance of survival fell to zero percent. No hospital in Utah was able to provide the care she needed, but Nationwide Children's Hospital in Columbus, Ohio, had a specialized BPD program and agreed to admit Zariah. At Nationwide, Zariah went through extensive physical therapy, speech therapy and occupational therapy. 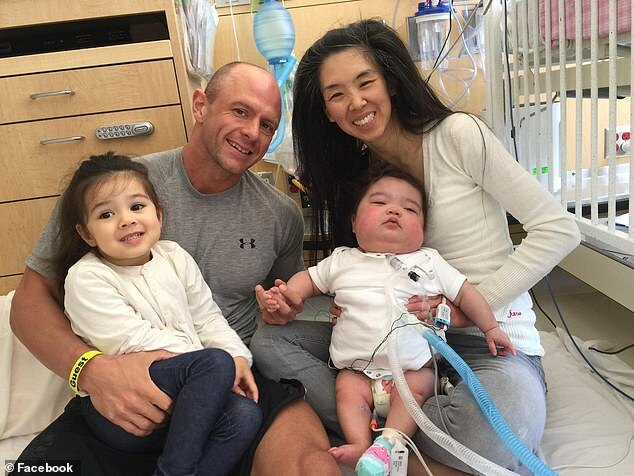 Thispouvian told the news station that despite not being there in-person for much of her daughter's treatment, she got to witness many firsts. 'She started taking steps forward,' Thispouvian said. Slowly but surely her condition improved and her lungs improved. Finally, on Tuesday, after 1,221 days in the NICU - three years and four months - Zariah was discharged from Nationwide. She was transferred to the PICU at Primary Children's Hospital in Salt Lake City. The family needs to set up home hospital environment - including scheduled visits from nurses, a home ventilator and a deep clean so no allergens irritate or inflame her lungs. Once their home is approved by medical staff, Zariah will be allowed to go home, according to the GoFundMe page. A GoFundMe page was set up to help cover Zariah's medical bills and medical equipment for the family's home. So far, more than $20,600 has been raised out of a $30,000 goal. last news on "Good news"